The New Zealand Dollar is wedged in an increasingly narrow range below a trend line capping gains against its US namesake since late October. A daily close above 0.7595 (38.2% Fibonacci expansion, trend line) exposes the 50% level at 0.7658. Alternatively, a turn below trend line support at 0.7515 clears the way for a challenge of a horizontal pivot at 0.7406. The New Zealand Dollar corrected higher against its US namesake after seemingly overturning the up move from the March swing low yesterday. A daily close below the 0.7406-18 area (horizontal pivot, 38.2% Fibonacci expansion) exposes the 50% level at 0.7332. Alternatively, a reversal above trend line support-turned-resistance at 0.7547 clears the way for a challenge of 0.7608 (December 9 low, falling trend line). 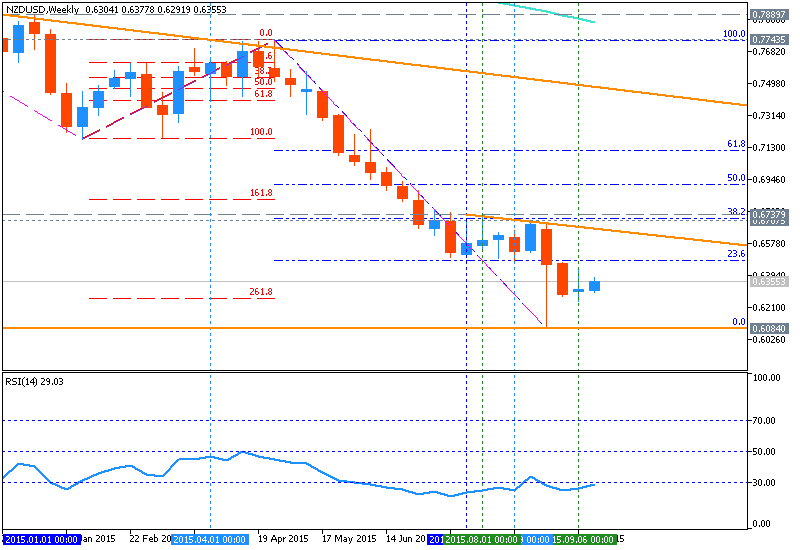 The corrective rebound has improved risk/reward parameters and we will now enter short, initially targeting 0.7418. A stop-loss will be activated on a daily close above 0.7608. We will book profit on half of the position and move the stop-loss to breakeven (0.7513) once the first objective is reached. 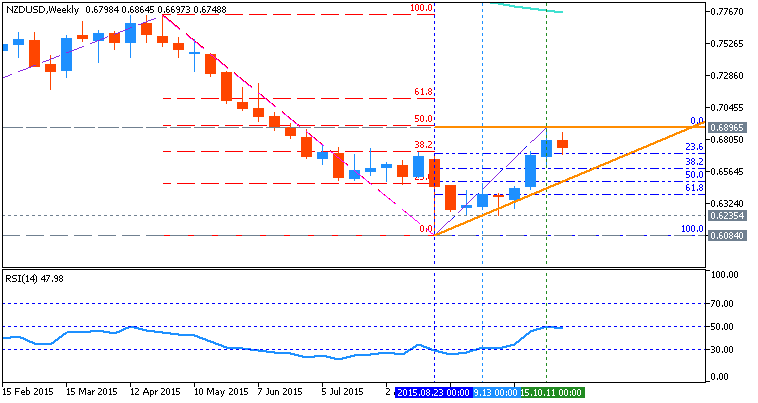 The New Zealand Dollar is struggling to maintain upside momentum having launched a recovery following the formation of a bullish Morning Star candlestick pattern. Prices continue to grind against support-turned-resistance in the 0.7608-82 area, with a break above this threshold exposing the 38.2% Fibonacci retracement at 0.7801. 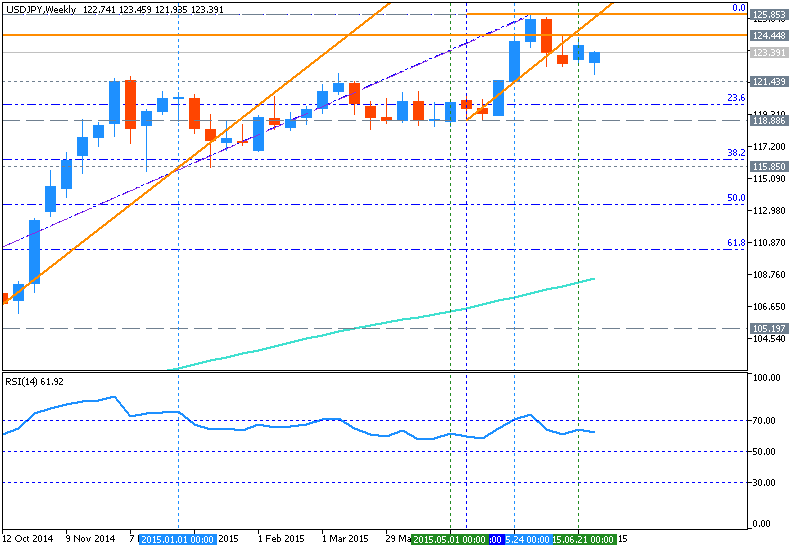 Alternatively, a move back below the 14.6% Fib expansion at 0.7495 aims for the 23.6% level at 0.7344. The dominant long-term NZD/USD trend looks to be favoring the downside. As such, we will treat any further gains as corrective and look to them as an opportunity to establish a short position at more attractive levels once the upswing is exhausted. The New Zealand Dollar is attempting a cautious recovery against its US namesake after putting in a bullish Morning Star candlestick pattern. Near-term resistance is at 0.6679, the 14.6% Fibonacci retracement, with a break above that on a daily closing basis exposing the 23.6% level at 0.6791. Alternatively, a push below the 14.6% Fib expansion at 0.6512 opens the door for a test of the 23.6% threshold at 0.6400. An actionable trade setup is absent at this point, arguing against committing to a directional bias on long or short side. We will continue to stand aside for now, waiting for a clear-cut trading opportunity to present itself in the days ahead. The New Zealand Dollar continues to oscillate in a well-defined rangeabove the 0.62 figure against its US namesake. The dominant trend continues to look decidedly bearish, painting the current standstill as digestion preceding the resumption of downward momentum. Near-term support is in the 0.6219-44 area, marked by the 38.2% Fibonacci expansion and the September 7 low. A break below this barrier on a daily closing basis opens the door for a test of the 50% level at 0.6069. Alternatively, a move above the 23.6% Fib at 0.6406 clears the way for a challenge of the 0.6497-0.6521 zone, bracketed by the July 16 low and the 14.6% expansion. 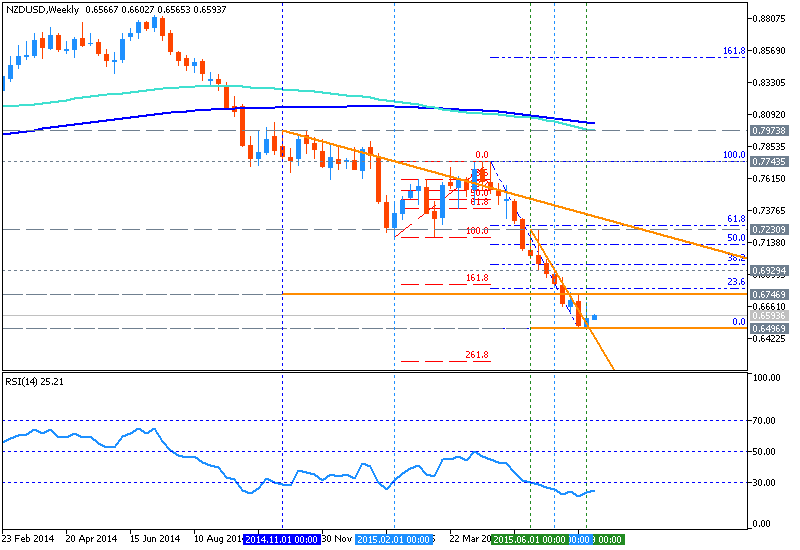 We entered short NZDUSD at 0.6370, initially targeting 0.6219. 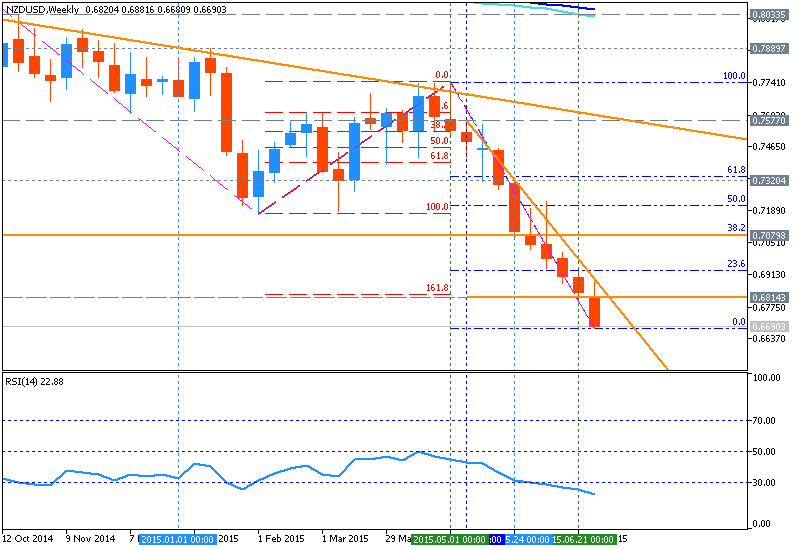 A stop-loss has been set to trigger on a daily close above 0.6521. We will book profit on half of the trade and adjust the stop-loss to the breakeven level once the initial target is hit. On the upside, the first resistance faced by the Kiwi is found at 0.6940 (Daily R1), followed by 0.6875 (ATR14 limit) and ahead of 0.68990/6900 (Daily S2 + psychological round number). On the downside, 0.6770 is the key point of control for bulls, as that is the level where both the daily and weekly pivot point intersect; below this level, 0.6745/50 is the next support, an area that aligns with the ATR 14 limit for today. The New Zealand Dollar is attempting to launch a recovery after finding support near the 0.67 figure against its US namesake. Downside follow-through after the formation of a bearish Dark Cloud Cover candlestick pattern has proved lacking, though the pattern remains technically valid absent a close above its swing high. A daily close above the 14.6% Fibonacci expansion at 0.6795 opens the door for a challenge of the 23.6% level at 0.6854. Alternatively, a reversal below the October 21 low at 0.6698 clears the way for a test of the 0.6613-44 area, marked by the 38.2% Fib retracement and a recently broken falling trend line (now recast as support). Current positioning does not offer an attractive trading opportunity. On one hand, prices are too close to resistance to justify a long position from a risk/reward perspective. On the other, the absence of bearish follow-through suggests taking up the short side is at best premature. With that in mind, we will remain on the sidelines for the time being. The New Zealand Dollar dropped to the lowest level in two weeks against its US counterpart but failed to secure a confirmed breach of range support. 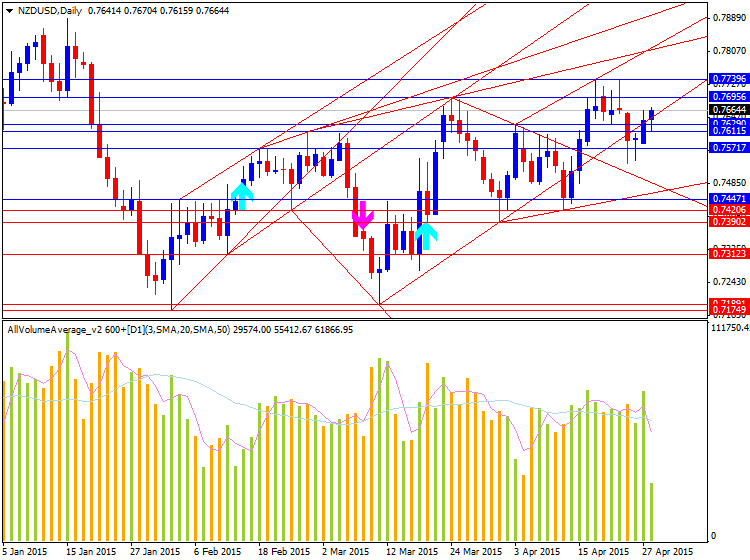 Prices established a top marked by a bearish Dark Cloud Cover candlestick pattern but sellers have been unable to build downside follow-through despite heavy event risk by way of the FOMC and the RBNZ monetary policy announcements. Immediate support remains at 0.6698, the October 21 low.A breakdown confirmed with a daily close below this barrier clears the way for a test of the 38.2% Fibonacci retracement at 0.6644. Alternatively, a move above range resistance at0.6792, the October 22 close, sees the next upside threshold at 0.6896, the October 15 high. Tactical considerations argue against entering short for now. Positioning has yet to confirm that the pullback over recent weeks truly represents long-term down trend resumption rather than a correction in the context of a larger medium-term recovery. Furthermore, prices are too close to support to justify a trade from a risk/reward perspective. We will remain flat for now. 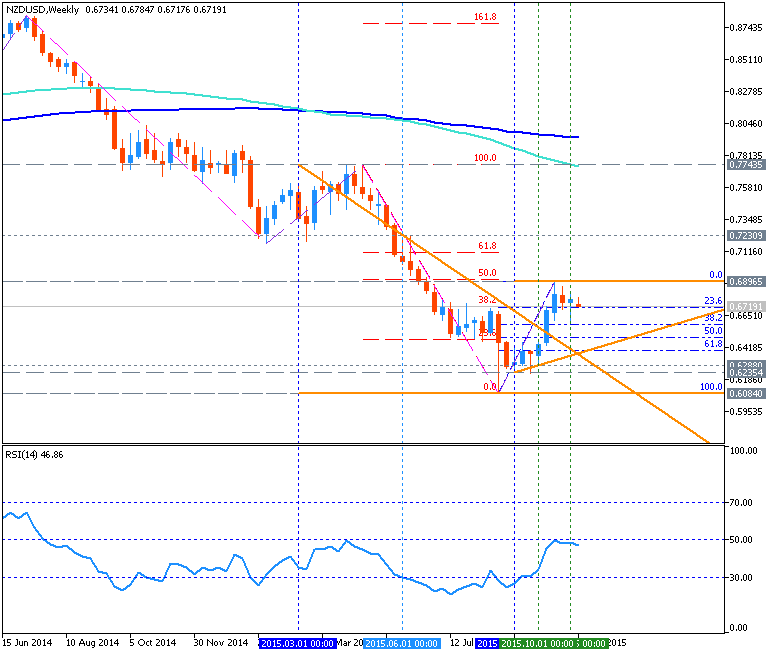 NZD/USD Technical Analysis: Test of Long-Term Trend Ahead? The New Zealand Dollar may be carving out a Flag continuation pattern which, if confirmed, would point to resumption of the advance from late-September lows against the currency’s US counterpart. Another medium-term thrust higher may put prices on a collision course with resistance guiding the longer-term down trend initiated in July 2014. Flag top resistance is now at 0.6758, with a break above that on a daily closing basis seeing the next key upside barrier at 0.6896, the October 15 high. Alternatively, a reversal below the 38.2% Fibonacci retracement at 0.6644 opens the door for a challenge of the 0.6566-0.6603 area, marked by the Flag floor and the 50% Fib level. Risk/reward parameters are skewed against taking a trade at current levels. On one hand, prices’ proximity to resistance and the absence of bullish breakout confirmation warn against entering long. On the other, taking up the short side seems premature without a defined bearish reversal signal. We will remain on the sidelines for the time being until something more attractive presents itself.